Consumers are notoriously impatient and mobile browsers of content are no exception. In fact they expect instantaneous response from any website that they encounter. There are many factors that website administrators must take into account. Their website must respond and meet the expectations of consumers browsing their site. Some issues are server response time, large content load from images, processing that a page requires. The number of attacks that websites are under is another factor. Today we are going to focus on image load time and the impact that it has on your response time. Images can be mega bytes in size or small low quality images that portray the message and are of sufficient quality. A large megabyte image is going to take longer to transmit and receive on the customers mobile phone. It takes longer for the server to deliver it to the communications link, longer for the link to transmit it and longer for the smart phone to receive and process it. A smaller less dense image can be delivered much more quickly and be of sufficient quality for the user. Website administrators should review all images that are resident on their website pages. If they are not loading quickly on a smart phone, then edit them into smaller less dense images. You may have to review every image and establish a standard for your website in terms of image size and load speed. The impact of image content on your mobile site speed can not be under estimated. There are many other elements to consider in terms of load speed. The number of plugins you have and the time each takes to be processes is another factor impacting load speed. You may want to also load test every site and every page to determine the impact they have on mobile site speed. Most web site owners have realized that content is king. You need to have great content to help rank your site so that readers will actually see your site. If not it will be buried way down in the search results. But is is really tough to create great content. Creating good content is not too hard but the really good stuff takes time and research which most SEO writers are not willing to do for the meager amounts of money offered for an article. How do you counter this issue? Here are a few tips to help deal with finding great content for your site. Have a great title – the title should spark some interest in the content. It should convey what the post is about and it should contain the keywords of the post. Average content – if your content is average, does not spark interest, is not entertaining then readers will move on. It also needs to be SEO optimized without being obvious to the reader. Can you easily share content – can you share content using one click? Place share buttons right on your site like this one. Promote your content – market your content in as many ways as possible. Tweet about your content on a regular basis. Advertise your content using google. attend seminars etc. Ugly content – if readers find your content difficult to read, too complex a design then they may just move on. Clean crisp sites that are easy to navigate and read is the way to go. Too promotional – If you are too busy promoting a product or your site, readers get turned off. Poor grammar and spelling – While readers may still get the meaning of your message, spelling and grammar mistakes are a big turn off. It does not spark a response – Does your content spark interest and elicit an emotional response. 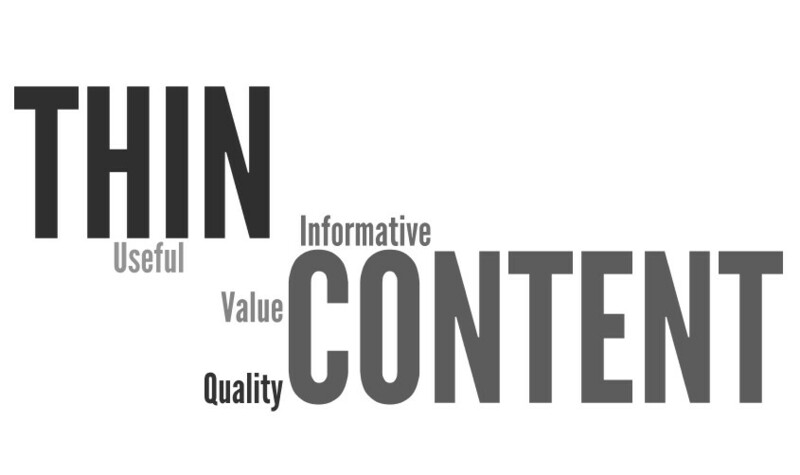 While readers may disagree on what SEO guidelines to follow, one they do agree on is content! If you do not jab great content that readers are interested in, your site will not do well. 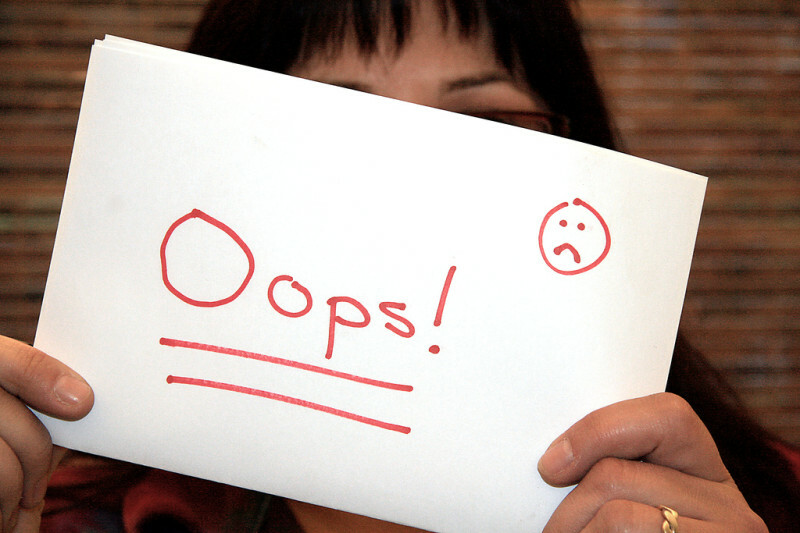 As we were writing this post about SEO content marketing dealt sins, we wondered what are the worst mistakes you can make. 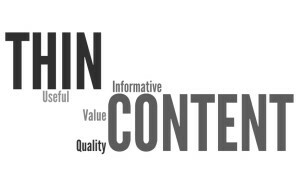 The following are six content deadly sins that we think apply to SEO content! No Plan, No Gain – you must have a plan! What is your content strategy? What readers are you focused on? How are you helping your readers and customers? Every site is different so each plan is unique. Are you too Greedy – Broadcasting posts and trying to be something to everyone seldom works. Focus on your niche, help your customers and the will reward you with loyal readership. Updates to Your Blog – is your content getting stale or out of date? Does it refer to products you no longer offer or have been updated? Customers get very frustrated when they experience these deadly sins! Focus on the Reader – Never mind trying to write content for the search engines and ranking systems. Focus on high quality content for your readers and customers using words that they would typically used to find your products and services. Don’t Focus on Spiders – do your research to find the appropriate keywords and format your content following good SEO rules. You want the spiders to find you and index you. But most importantly, you should write high quality content that is interesting and helpful to your readers. Lack of Diversification – diversify your content and then share it across several platforms that make sense for your business and your industry. Facebook, Intagram, slide decks and pdf documents are examples of what you might consider. What does an F-shaped pattern for reading web content have to do with ad placement? It turns out a great deal if you want your web site to generate income. There are many different ideas about ad placement on web pages. Ad size also is another factor to consider. The number of advertisements on a page and what kind of ads to run on a page. With so many different factors how does a web designer deal with these issues and still have time to write great content that is the corner stone of SEO? The picture above represents a study that was conducted in 2006 regarding how readers scanned a page. This study lead to the F-shaped pattern for reading web content. It is also one of the reasons, Google decided to remove ads from the right hand side of their SERP’s. Basically readers will scan from left to right and also from top to bottom. They will notice and pay attention to information located in these areas. This includes advertisements, content, images and videos located in these areas. Images and videos have changed this pattern somewhat, attracting a readers eyes first. After they have digested the image content, they then appear to revert back to the F- Pattern scanning of the page. If you are running a website with advertising on it, this is one factor you may want to consider in terms of ad placement. Right hand located ads will not do as well as those located in the upper right hand area of the page. As a website owner / manager, should you have a website BLOG content revisions and update schedule? The answer is most definitely yes. Some content will withstand the test of time and will always be up to date. Most content is in some way date sensitive or new information becomes available. If your site is suffering from age related information, both readers and the search engines will become aware. 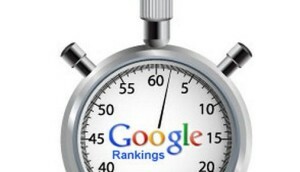 Rankings will decline and readers will not stay on your site for any length of time. We believe the best way to keep your site fresh and up to date is to develop an update plan and schedule. 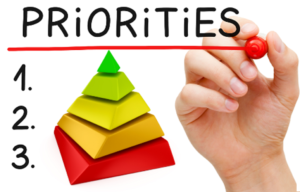 If you have a large site with hundreds or maybe thousands of posts, some kind of prioritization is needed. Consequently smaller sites can be handled easily by setting a schedule of once a week or more often as needed. These are just a few examples. Some website manages might also look at poor performing pages. Improve their ranking by rewriting some pages. In other words website managers want to improve the income stream on their site and ensure that all posts are contributing. 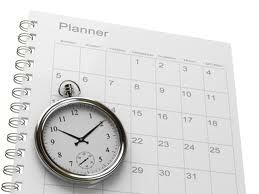 Develop a plan and a schedule. Subsequently implement the plan and then assess the results. If you are not getting the improvements you were expecting, other changes and or updates might be in order. What is the ideal blog post length for SEO (Search Engine Optimization)? The answer as it turns out is quite complicated. There is no minimum number or maximum number that you need to aim for. The answer is that every post must address the readers question. If you can do that in 100 words, great. Other situations or questions might take 2000 words. In today’s environment where people are looking for fast answers you are better off to answer the question in the first paragraph. More detail can be provided in subsequent paragraphs if the reader wants more detail. If you can meet all of these goals in 100 words, great. If it takes more, then write the post accordingly. But do not add filler content or keyword stuffing words just to meet some apparent SEO guideline. Writers work hard to avoid SEO copywriting errors on posts and pages on their websites. But what are the common mistakes that many writers make and what are search engines looking for as well? Ultimately a writer wants his or her page to be indexed and presented to readers on search results. The worst thing that can happen is that the SEO grading is so low that the page ends up at the bottom of a long list of search results. We will examine a few of these issues and most readers will realize that these items are just common sense, but many people still make them. The most common and the most important is poor content. If it is not original and well written then both the reader and the search engines are going to pass on it giving high bounce rate and low index rating. This can be the kiss of death for many pages and posts online. A major contributor to bad content is when writers cram SEO keywords into the text. This process makes awkward sentences and difficult to read text. Sentences may end up being too long and some may not even make sense. Use keywords where and when they make sense and can be comfortably included in the sentence structure. Long paragraphs, endless sentences, poor grammar and poor spelling are all contributors to SEO issues. There is nothing more difficult to read than a sentence that is full of spelling mistakes. Focus on getting these items right in your post. Use apps or widgets to help you with both grammar and spelling. Spell checkers are not infallible. Read each sentence to make sure that the right interpretation of a word is being used or corrected by the spell checker. Much has been made about generating content, lots of content for your website that is original and attractive to the reader. Yes you need all of these things and much more to create a successful web site. However in this post we wanted to talk about a topic that is often overlooked. That is “set editorial due dates for SEO”. What do we mean by this term? And how do you go about setting dates, scheduling etc for SEO purposes? Bottom line, you need to be organized and producing content, editing content and updating content on a regular basis. Your website is going to suffer in both quality and attractiveness if you do not follow these steps. All of your writers need to be assigned tasks, schedules i.e. due dates and expectations set. Without this either for writers you hire or even yourself, content management for you web site will be haphazard at best. Here is what we mean! New Content Generation – set a schedule for content generation i.e. 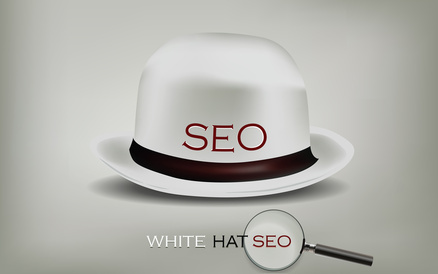 new pages that will be added to your site following all of the rules for SEO that are needed. Your writers should know the dates and expectations and meet these dates. Refresh Old Content – some of your pages will be stale and even out of date factually just due to changing circumstances in your business. Establish a program with due dates, expectations for updates and quality level for all of your pages. Update them on a regular basis that makes sense for your business. Product / Service Updates – if your business changes, so must your online content. This needs to be completed rapidly. Otherwise you will have very frustrated customers and even employees. Establish a task force if needed to make this happen quickly. The important message here is to establish and set editorial due dates for SEO purposes for your business web site that makes sense for the business you are in! Writing for Search Engines is necessary, however writing copy for your readers is also extremely important. 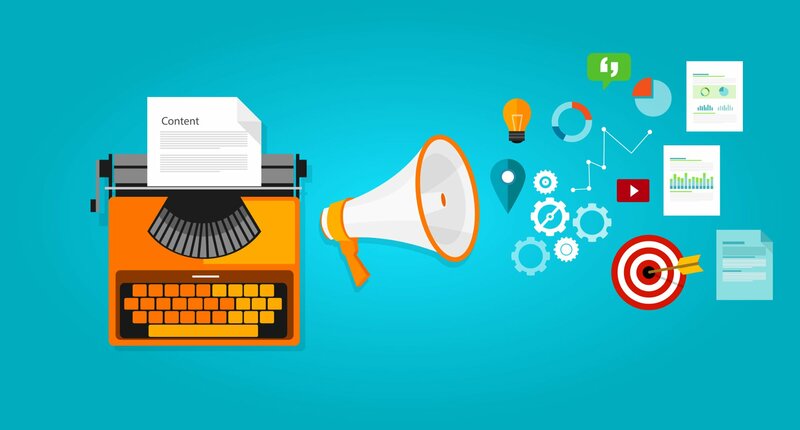 Writing content that is interesting, answers the readers questions and delivers a message is one of the most important things that a copy writer / blog writer can do. All of this needs to be accomplished while at the same time meeting all of the attributes that the search engines are looking for. 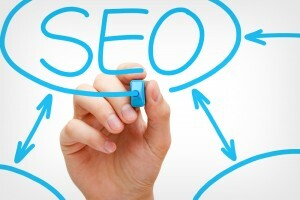 Other articles in this series address the SEO attributes that writers need to be aware of. This article will focus on the marketing side of writing. Title and content need to match! Sometimes a catch title is needed to attract readers, particular online readers to open the page and review the content. But if the content of the article does not live up to the promises indicated in the title, the reader is going to move on quickly to another page. Always make your titles catchy, but match them to the actual content that is contained in your page. Duplication of content is confusing to customers especially of the content sends slightly different messages. The search engines do not like it either. Two slightly different messages about the same content will cause questions in the minds of your readers and could also dramatically increase your cost as well. Imaging a call center taking calls about products that are the same but described differently. Align your pages or get rid of duplicate content. If links don’t work your customers will move onto another site and you miss the opportunity to convert them to making purchases or learning more about your services. Test all of your links and make sure they are relevant to the content and subject. Monitor your Social Links – everyone is on FaceBook, Twitter, Instagram etc these days. If your pages or your message does not convert well, you may lose readers here as well. Twitter for example only has 140 characters. That is a limited number of words that can be used to attract your readers and get them to click on the url leading to your page. Always focus on the message and how it is perceived on different social media networks. For more information about writing great content, click here. Good unique content matters for a number of reasons. Your customers are looking for information that will help them answer questions they have. They want to solve whatever problems they are trying to resolve. If your content does not address these issues they will be dissatisfied. Readers will go to another site for their answers and products. As a website owner operator any time you lose a customer it is bad news for the bottom line. Bottom line is to make sure that all of your content addresses specific issues that pertain to your products and services. In other words help your customers solve their particular issues. Helping websites gain top ranking with Google and other search engines is an important objective of all SEO engineers. There are many factors that can contribute to a good ranking. 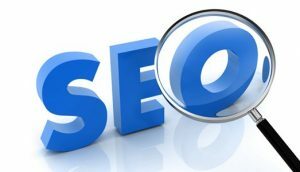 Which means that a higher number of people searching for specific topics are going to be presented with your site as a site to visit that will answer their questions. Excellent content is one of those features that everyone should strive for in addition to all of the other issues that are often considered. Good Unique Content Matters because you need to make sure that the search engines rank you well. The content must also address the customers questions. Some SEO experts believe that good unique content is not enough. They feel that it must be excellent and ten times better than your competitors. They believe this based on competitive comparisons by Google as well as your customers. If your content is ten times better than the competition, Google will rank you higher. Of course your customers will stay on your page longer. All of this potentially adds up to increased sales and revenue, which after all is the bottom line for most companies. Our own objective is to write really good unique content since there is a trade-off between time invested and return for that time. Each website manager must evaluate this trade off and make the best return on investment decision for their situation.